Our training will take place Saturday July 9 on the property of the Genesee Country Village & Museum near Mumford in the Town of Wheatland. We will meet at the Nature Center (see attached map) at 8:30 AM – I will give an overview of the WAVE Program and then we will proceed to Oatka Creek, which flows through the property. We will probably spend a couple of hours at the creek working through the habitat and user perception assessments and then collecting benthic macroinvertebrate samples. We will bring our collections back to the Nature Center and separate out the different types of organisms we collected – this will also probably take another couple of hours. We will be sorting through the collections on picnic tables under canopy tents. I expect we should be done between 1:30 and 2:00, so you should bring a lunch with you. I’ll have a cooler with some ice that we can use to kept the lunches cool. Please download the documents that are in the DropBox folder that I sent you the link for in a previous e-mail (which I have attached for your reference). 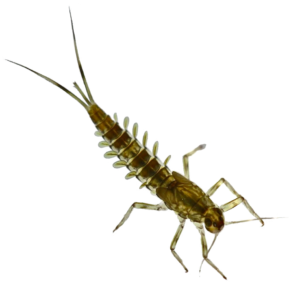 We will be using the full Habitat Assessment form, the WAVE Instruction Manual, User Perception Form, Macroinvertebrate Data Form and the Macroinvertebrate Identification document. If you have trouble downloading these color documents, let me know and I’ll bring copies with me. In addition to a lunch, you should bring boots (muck boots that are up to knee or hip boots, waders won’t be necessary); insect repellant, sun screen, drinking water, and long pants (there may be stinging nettles, poison ivy and thorny shrubs like multiflora rose). I am looking forward to meeting you. Have a great 4th of July Weekend! I am a Le Royan now look living in Georgia. As an avid fly fisherman, living along the banks of the Oatka, I was always so proud of the “bugs” in our stream. We have a program here called Adopt A Stream that a assume is similar to that in NY. I would be very interested in seeing the results as I am always bragging about our little stream. The mountains we live in are made of granite with no limestone making our water too soft for good bug life. Thank you for any information you can share and keep the Oatka healthy!